CEO of Insomniac Events Pasquale Rotella has never been one to shy away from speaking out to his customers and fans or from addressing the truth. Recently he has come under scrutiny by concert-goers who were not thrilled with some of the event planning decisions being made. Pasquale offered a sincere look into his thought process and hopes readers would get something out of it. He discusses the difference in the dance music scene from when he first started getting involved through to today and how he wishes to keep the important basics while advancing forward. A small but vocal percentage of you have been demanding the EDCLV lineup announcement, so I wanted to share my thoughts with you. One of my goals in life has always been to give back what I was lucky enough to receive from the early 90’s Los Angeles underground scene: A safe place to escape, be happy and express myself through music, art and dance. A place where my spirit soared and became one with everyone around me. A place where I felt like I’d been touched by sacred energy. I strive for EDC and all of our events to be one of these places. When I was first exploring dance culture, we didn’t have all of the genres we do now. There was house and there was what we used to call techno, and it was all played on one stage. Many times the DJs, their turntables, and the speaker stacks were on the same ground that served as the dancefloor for tens of thousands of people. Most of the DJs were local and a small handful of them were also producers. Oftentimes we wouldn’t know who was playing until we got to the spot, but it didn’t matter because we knew it was going to be off the hook. If our favorite DJ was playing the party, it was a bonus. But that’s what it was—a party. It wasn’t a concert, and we never treated it that way. Now you might be thinking, “Man, he’s too old school and out of touch.” I know times have changed, but I’m always going to do my best to keep the roots of this culture alive. Everything moves forward and evolves, from musical genres to technology, and I’m very passionate about innovation and discovery. But one thing has never changed: A good time is what you make of it. I’m a big fan of certain DJs and producers, but even though I enjoy seeing them perform, it’s all about the collective energy and positive vibes that come from the overall experience. Besides, all the amazing DJs and producers who have graced our stages—whether they’re world famous or a lesser-known local talent—have never failed to put on an unforgettable show. House, techno, trance, drum ‘n’ bass, trap, breaks, dubstep, hardstyle or anything in between, we always have a little something for everyone. We strive for our events to be distinct from concerts and festivals. There are plenty of those in the world already. We want to create something truly different; a colorblind world of make-believe. A place free of judgment where you can wear whatever you want, dance however you feel, and just be present. We want to take you on an adventure to places you’ve never been, and we hope that you take a piece of the world we create together back into your daily life. In recent years, a lot of new and beautiful people have discovered the culture, and many of them are conditioned to have the kind of front-facing musical response you find at a rock, pop or hip-hop concert. But this is different. This is dance music. I need to stay true to my heart because my heart is what’s gotten us here. 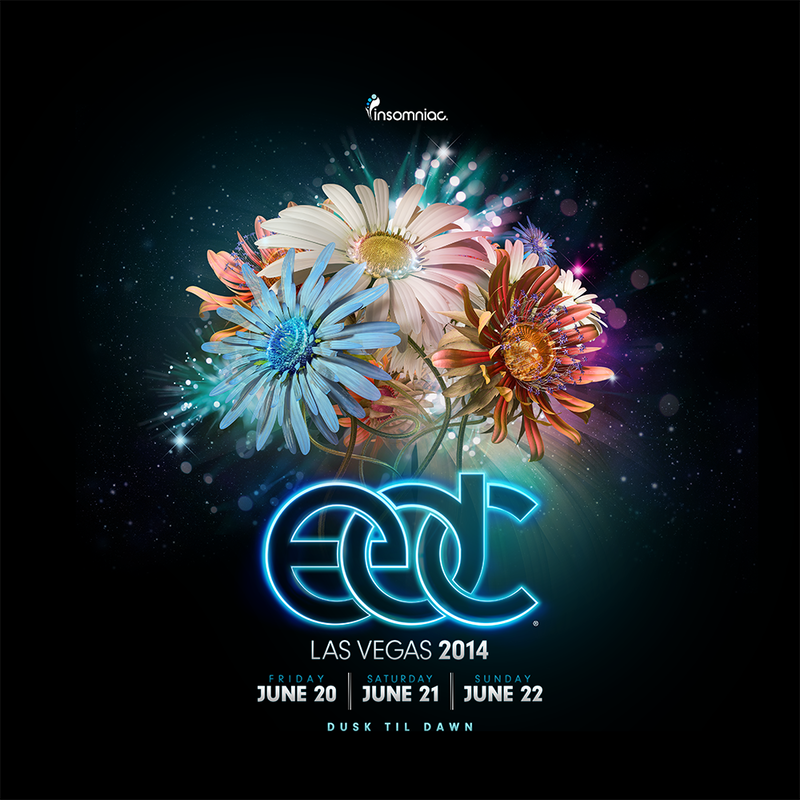 Rest assured, our amazing team of owls is working night and day to make sure all of the EDC details are on point. We will announce the lineup onMay 27th, but until then keep those positive vibes flowing, and focus your excitement on what you are going to experience and how you are going to make this year’s event special for you and your friends. This is a celebration, not a concert. Just because dance music has broken through to the mainstream doesn’t mean we need to play by those rules or subscribe to that way of thinking. It’s what I learned as a fan, and it’s been my touchstone since I started Insomniac. It’s also what’s added so much joy and happiness to my life, and I’m going to hold that torch for as long as I can with the hope that it brings joy and happiness to you, too. Pasquale always comes off as very genuine and concerned with the ethics of his company for the best fan experience, so hopefully people will start understanding where he is coming from and realizing that he is one of the most caring businessmen in the music industry.